The company’s H2PRO supplements are available pre-bottled or in packets of powder. Its first formula, designed to boost the immune system, comes in two varieties: one flavored with acai berry and one flavorless. And this summer, it plans to release two more formulas—one for aiding bones and joints and another for brain health—with more on the horizon. Baumgarten credits a long list of partners with making the supplements a reality. To begin with, he says, Asheville-Buncombe Technical Community College’s Blue Ridge Food Ventures and Small Business Center both provided early strategic assistance. “They did a great job of laying out the land and the things that I needed to be thinking about: trademarking, branding, capitalization,” he recalls. 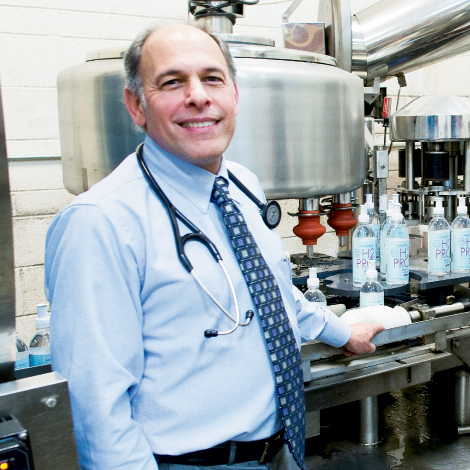 And when it came time to bottle the finished product, Baumgarten went with Asheville-based Mountain Valley Spring Water. Visit H2Probiotics.com to learn more, locate vendors and order online.